After a very long drum roll, the Huffington Post launches HuffPost Live, its streaming Web video news operation, this morning. If you’ve watched the streaming video that other newspapers and Web sites have put out, you’ll have a good idea of what to expect at 10 am ET today: Something that approximates the form of cable news, but with Webbier sensibilities and production values. But HuffPost Live will stand out from the stuff you’ve seen from the likes of Politico, the New York Times and The Wall Street Journal (which, like this Web site, is owned by News Corp.), in a couple ways. For starters, the site’s interface will look a lot different from its peers. Yes, you’ll still see talking heads, talking. But you’ll also see a lot of bells and whistles designed to highlight and encourage comments from viewers, including a “join this segment” feature that is supposed to let people chime in live via Webcam. 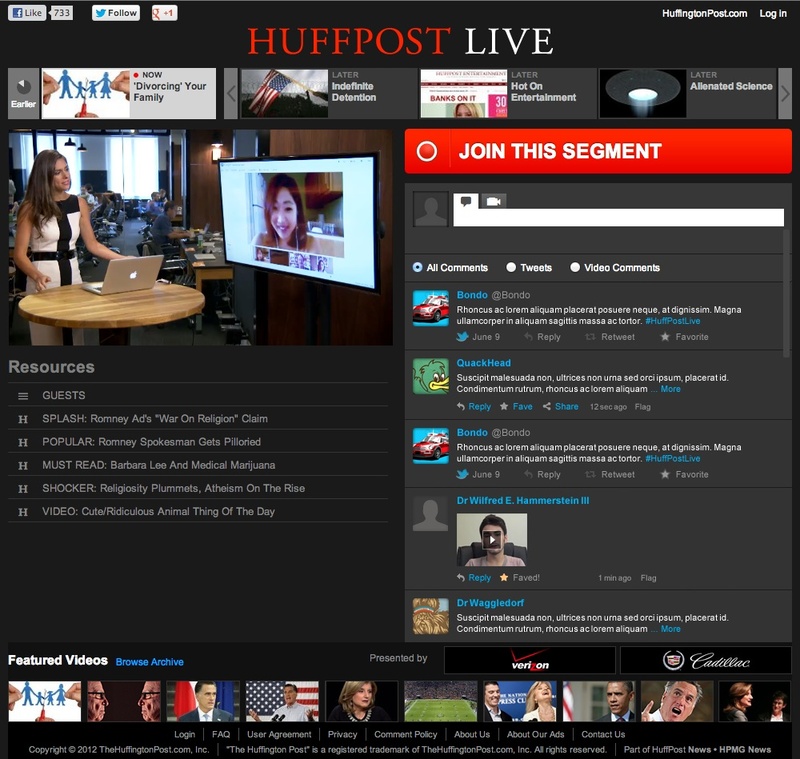 HuffPost Live will also spend a lot of time … live. While many of its competitors spend some time streaming live, HuffPo will be showing 12 hours of live programming a day, and HuffPost Live head Roy Sekoff thinks he can ramp that up to 16 hours next year. 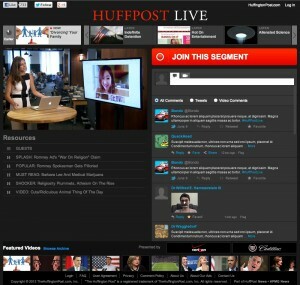 Still, most of HuffPost Live’s traffic will likely come from Web surfers who find clips after the fact. And while lots of other news operations are tackling Web video by hiring a few producers and tech experts, then asking their existing staff to stand in front of a camera, HuffPo has bet big on this launch, with a staff of 100. You’ll see existing HuffPo talent on the screen from time to time, but almost everyone working on the video show has joined the company in recent months. Here’s an edited version of an interview I conducted with Sekoff last week, as his team was putting its finishing touches on the new channel. Kafka: There are a lot of news sites trying to do some kind of video programming now. But none of them are throwing 100 people at it. Why go this big? 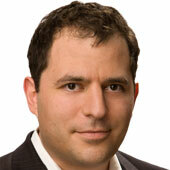 Sekoff: I felt like I wanted to do something that was disruptive. You can go down the list, of all the people who are doing [web video], and it all looks the same — television not done very well. That wasn’t of interest. I just didn’t think we could be disruptive by doing the same thing — shooting editorial meetings, or shooting the newsroom with a reporter coming in and just chatting. And you’re stressing the live component, and especially live commenting, much more than anyone else, too. The only way to do that is if you’re live, in real time. Because you can’t get people to join you [otherwise]. You can’t do call-in radio on tape delay. But like everyone else who does video, most of the views you’ll get won’t be from people watching live, right? In order to join us live, we have to be live. [But] the other part of our business is very much on video-on-demand. People want premium video content. How can you create a tremendous amount of video content at scale? [This] is actually a very cost effective way. That’s one of the reasons we’re doing the 12 hours. We want to be there when things are happening [and] we want to be able to churn out material. Every time we do a live segment, we’re clipping. We’re taking the best things that come up, and we’re embedding them in HuffPost stories. So on-demand drives views and dollars. And you’ll also have live, which is a nice option.